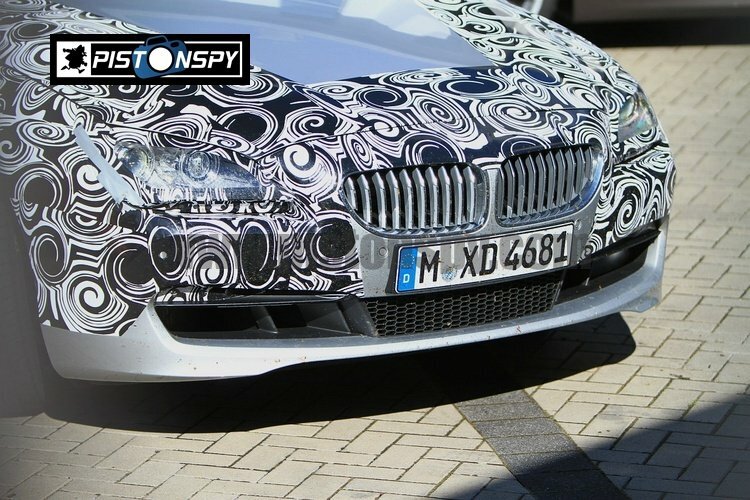 After spying the m6 series Gran Coupe in Sweden earlier this week, BMW are showing up the non M powered variant of the luxury Coupe at the 2012 Geneva Autosalon. 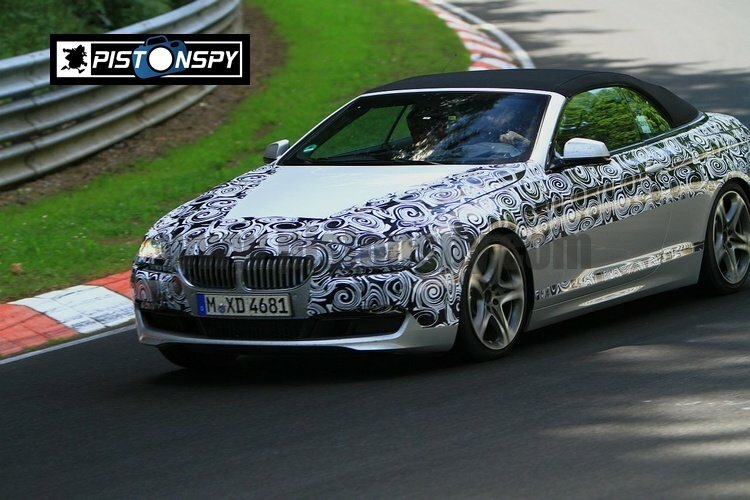 The 6-series Gran Coupe will launch with a choice of three engines. 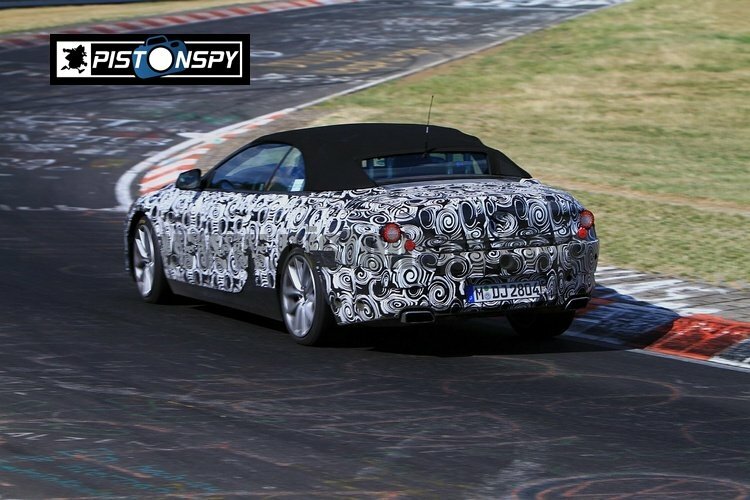 The entry level version will be the 640i that houses a turbocharged 3.0-liter inline-six with 315 HP and 450 Nm of torque and will accelerate to 60mph in 5.4 seconds. The Diesel Powered 640d Gran Coupe uses a 3.0-liter engine with 309hp and 630 Nm of torque. Performance matches the diesel variant due to the huge torque propelling it to 60mph in 5.4 seconds. The Range topping non M powered variant is powered by the same twin turbo engine as in the current M5 and M6 but detuned to around 440hp. This is actually clever marketing as we have previously spied the m-powered variant in northern sweden and this will be around the 550hp from its 4.4 twin turbo v8. 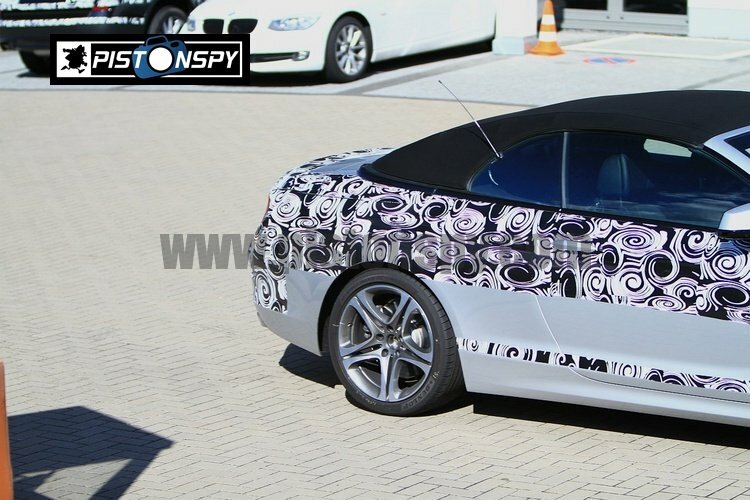 Our spies have spotted a nearly uncamouflaged model of the 6 series (f13) with the M Sports Pack, this includes a bespoke M-Sport side skirts, and a different rear bumper. 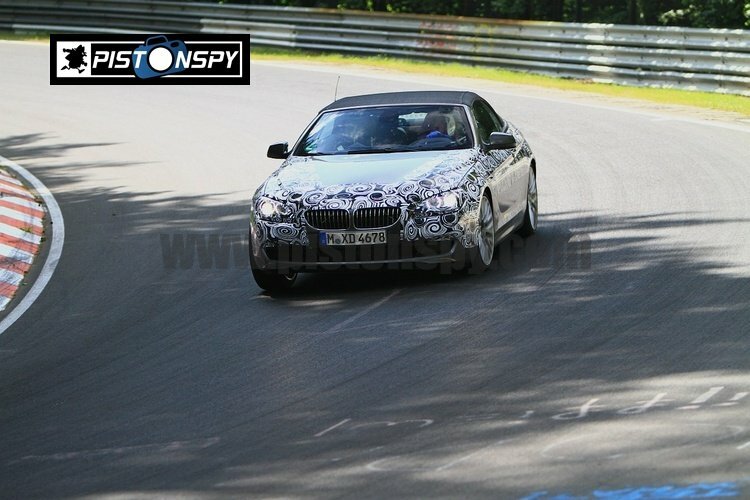 Today at the Nurburgring we spotted 3 different models of the 6 series Cabriolet one was the 650cv/cp and the other too was a 640cp/cv. 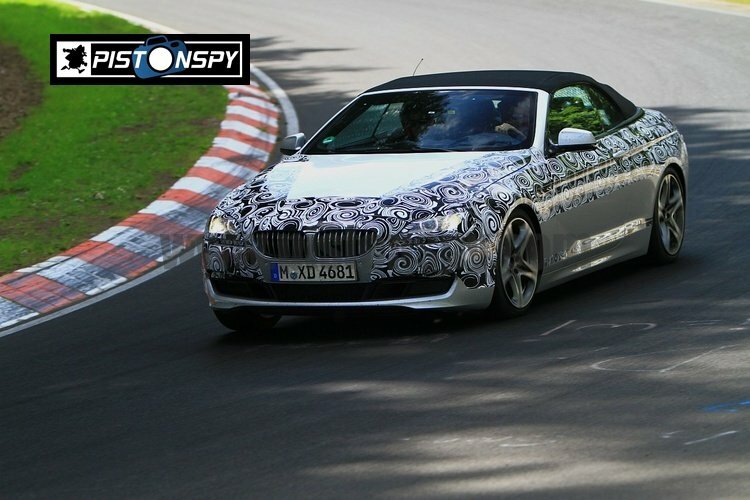 The new 6 series lineup will feature a coupe, a convertible and a 4 door coupe along the lines of the Gran Coupe Concept. 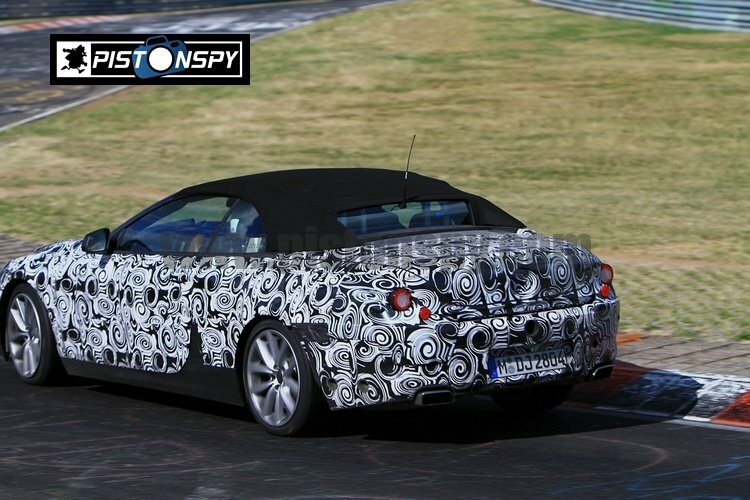 Rumors also have BMW working on a late addition offering the m6 variant late in 2012-13 with the 4.4 twin turbo from the f10 m5. 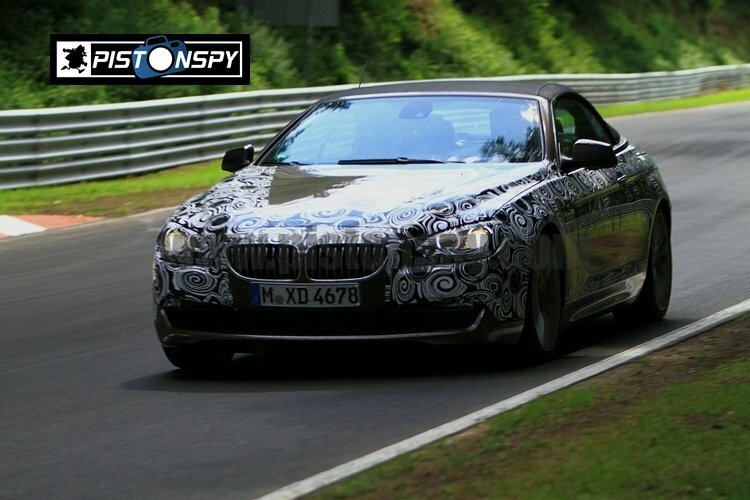 It looks like BMW are serious to improve the 6 Series with the new generation 6 and we expect the first showings of the upcoming cars either late 2010-2011.